Taking kids anywhere is a nightmare. Taking kids on a plane is your worst nightmare. Taking a baby to a tropical island is like someone offering you a million dollars and then lighting it on fire right in front of you. But we’re soldiering on. And we have reinforcements! My wife’s sister is coming along to help with the kids. (Thank god for easily transferable frequent flier miles!) Her presence should definitely make the trip much less stressful and more fun, but it doesn’t really help with the packing. We’re excited, although to be totally honest, despite the fact that we leave in less than two weeks, I’ve barely even thought about it! It’s a defense mechanism, really. Logistics stress me out, and the logistics of packing and planning for a week away often tend to make me not want to go. Despite my issues with planning, I’ve gone ahead made a list of all the stuff we have to bring-slash-worry about in advance of our trip, including some Whimsyboo Baby gear that YOU CAN WIN at the end of the post! The baby – I’m told we can’t forget him! The five-year-old – We could probably get away with forgetting him. There’s food in the fridge. Earbuds – I almost put these ahead of the kids. I will literally jump out of the plane if I forget these. I WILL LITERALLY JUMP. Sunscreen – For the baby. And the five-year-old. And me. Stupid Irish skin. Aloe – For me stupid Irish skin. Mom and Buried – I should probably move her to the top. But still put her after the earbuds. Auntie – To be perfectly honest, if she weren’t coming, we wouldn’t be going. She is item #1. I literally want to marry her for doing this but unfortunately I’m already married to her sister and now I’m gonna get in trouble for saying “unfortunately” aren’t I? My Goody Bags! – Because IDGAF. A Beach Tent – I had no idea what this was until last night but basically it’s a little shade cocoon for The Hammer so he doesn’t melt away on the beach. I’ll allow it. A Flask – SO. DRUNK. Thanks Auntie! An Infinite Supply of Diapers – My parents got Detective Munch his very own piece of Kylo Ren-adorned luggage, for his five pieces of clothing, four Rescue-bots, one Lovey, and 892 diapers. IT’S YOUR BROTHER’S SUITCASE TOO, KID! Some Clothes, I Guess? – It’s not a nudist community, so we’ll probably need a few things. The odds of me wearing more than a t-shirt, swim shorts, and flip-flops (Rainbow FTW!) for the entire stay are very slim. Besides, I can’t take up much room, knowing that Mom and Buried will probably bring half of her wardrobe and all of her shoes because WOMEN ARE PRACTICAL. Every Electronic Device We Can Fit in a Carry-On – Because I give a little bit of F. And we’ve already gone over these absurd alternatives. Whatever Other Junk My Wife Makes Me Pack, Probably Our Passports or Something – I told you, I haven’t spent much time thinking about it. That’s just not my jam. I’ll throw a bunch of stuff in a bag the night before and then yell at my wife when we get to the beach and she doesn’t have my sunglasses. I’M A CATCH! Whimsyboo Baby Gear – Finally, last but not least, our Whimsyboo Baby stuff! We have Whimsyboo Baby wash cloths for during The Hammer’s bath, towels for after The Hammer’s bath, and bibs that are seriously the softest way ever to catch your repugnant baby’s spit-up so you don’t have to take a bath. Detective Munch even has a toddler towel we bring to the beach. 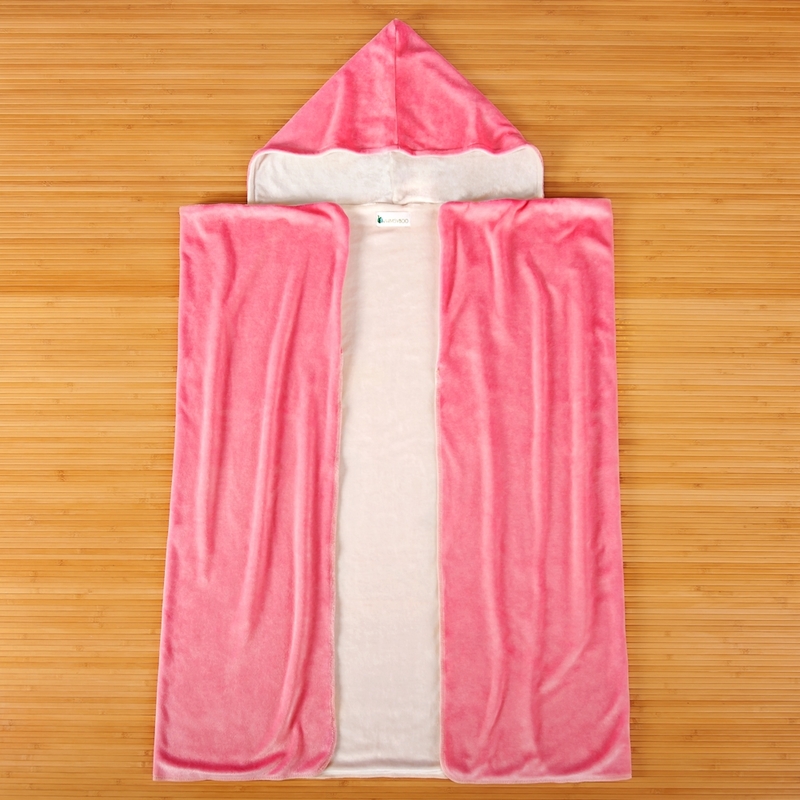 It’s aqua-colored and has a hood and it’s made from something called “organic bamboo velour” and I don’t know what that is but I swear it’s so ridiculously comfy and soft it might as well be made from a unicorn’s pelt. Handing it over to a disgusting five-year-old who has no respect for anything and filths up every single thing he touches, including your gorgeous and soft mythical unicorn’s pelt, seems silly, but hey, parenting, amirite? Anyway, wouldn’t you love to have another precious object your children can destroy? Win your own toddler towel below! Obviously not everything on that list applies to you. And I’ve probably forgotten a million things. But as long as I have my earbuds, my Rainbows, and my unicorn pelt, I’m set. Oh, and the kids too. I guess. You’re bringing an Auntie Child-Minder? Genius! Sounds like you’re all set! Don’t forget an economy sized box of snacks. Those damn toddlers are always hungry! I hate packing too. My demanding child needs sunglasses, 1500 cars and trucks to bury, and all the food and water I can carry (he doesn’t eat anything besides peanut butter sandwiches most of the time so I tend to comply). Oh and towels because God forbid he gets a drop of water on his face. Please show some pictures of the Kylo Ren luggage.